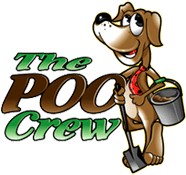 We love the poo crew! We have two dogs and they’ve really taken care of us! Very reliable. Great service, very professional! I use them both at my business and my home and am very satisfied! They are courteous, prompt and thorough. If I’m not satisfied, they come back. This is the best money I’ve ever spent! The staff are friendly and the prices are very reasonable. Highly recommended. Great service and wonderful to deal with!